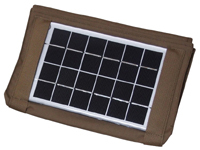 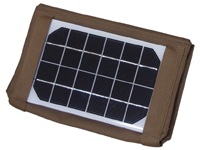 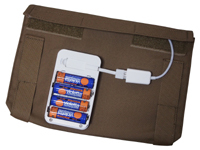 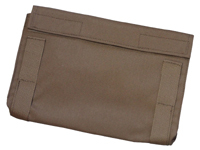 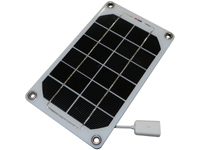 Portable PV systems with detachable mono crystalline solar panels, Ni-MH battery packs with USB output and a lightweight yet rugged Mil-Spec Cordura Nylon belt pouch designed for charging 4 AA Ni-MH rechargeable batteries and powering mobile appliances, such as cellular phones, smartphones, and audio/visual devices. 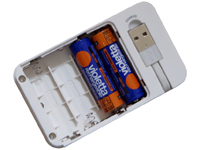 Designed for charging either 2 or 4 AA Ni-MH rechargeable batteries at the same time using sunlight. 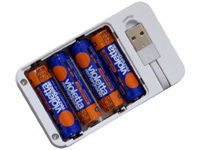 Designed for charging the batteries of mobile appliances, such as cellular phones, smartphones and audio/visual devices with USB charger cables. 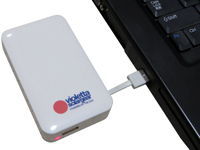 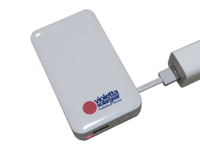 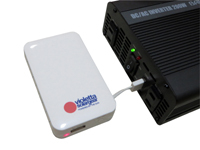 The battery pack with an LED indicator for charging and discharging status. 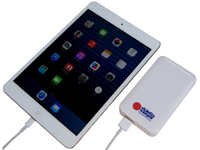 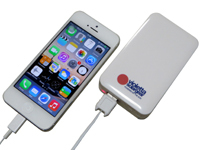 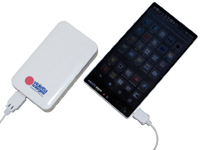 **You do not need to fully charge the battery pack before powering mobile appliances.